The small, the significant, and the city. After spending about two months in Los Angeles, I am back on the east coast (so much for posting while I was there). 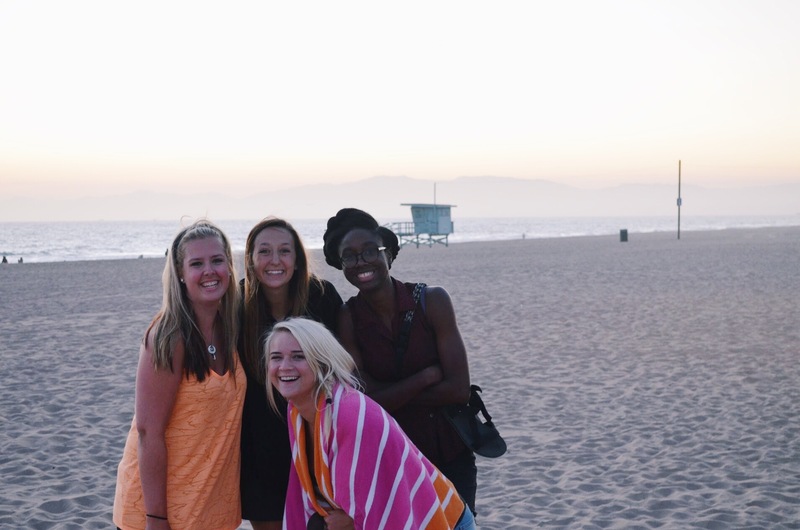 I am well into the semester now, but before classes got too busy, I wanted to do a post about my time in California. 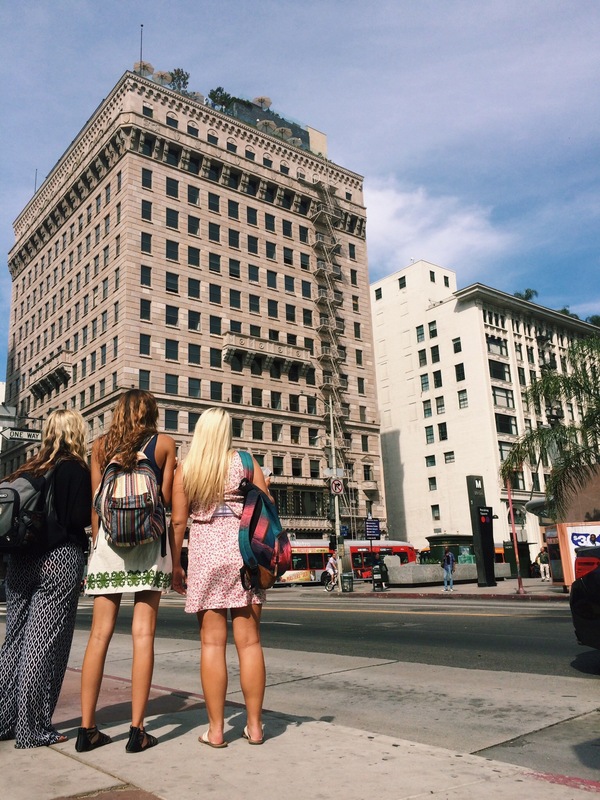 I thought I would share just a few of the little stories that made my time in LA so special. I have seen, time and time again, that God often speaks in big ways, through things that are seemingly very small. 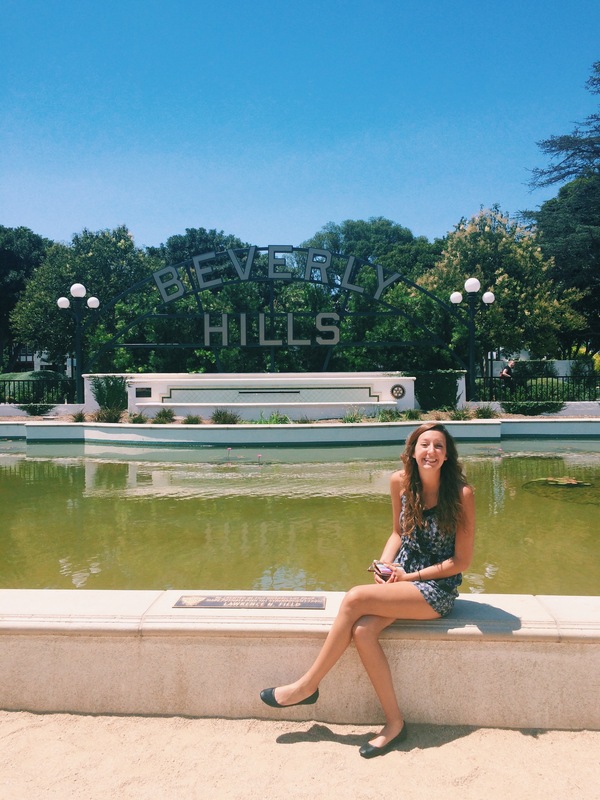 So, let’s just pretend we are around the family dinner table, and I will tell you about the small, the significant, and my time in the city of LA that I grew to love over the summer. So, my first little story takes place on a bus, late one Sunday night. My team and I were heading back to our apartments, after a very busy day in Los Angeles, and I was extremely tired. I had my headphones in, and I had no plans of talking to anyone on this bus ride. However, a little elderly woman sat down in the seat next to me. I knew God wanted me to talk to her and, despite how tired I was, I took my headphones out and asked this women how her day was going. Unfortunately, she told me that her day had not been a good one. She was trying to get home from a long day at work, but her ride failed to pick her up. She got on a bus to get home, but someone on board vomited, so she had to get off and take another route home. Thus, this woman ended up on the same bus as me, late at night. She was elderly and clearly had been through a long, hard day and just wanted to go home. However, in the midst of all her stress, she looked at me and said, “You seem like a special girl. Your smile is brightening my night!” We continued to talk, and I saw her face slowly soften, from a frown to a smile. I asked her if there was any way I could be praying for her, and she looked at me with surprise. I saw tears well up in her eyes, as she said, “You know, no one ever asks me things like that.” She proceeded to tell me that she had just found out she was going to have to have surgery soon, and she was very afraid. I got to share with her that Jesus cared about her and that He is a God of healing. The woman was so full of joy when she got off the bus, even though we had talked so long that she missed her stop! She stood up from her seat and said, “You completely turned my night around! Thank you so much!” When she exited the bus, she tapped on my window and waved at me one more time, with a huge smile on her face! A few people on my team let out “aww’s” at the sight of the sweet lady’s smile through the window at me. It was a moment that was seemingly small, but so special to me. That lady had gotten on the bus with such a heavy heart, but she practically skipped with joy off the bus, because of a simple conversation with someone who cared about her. 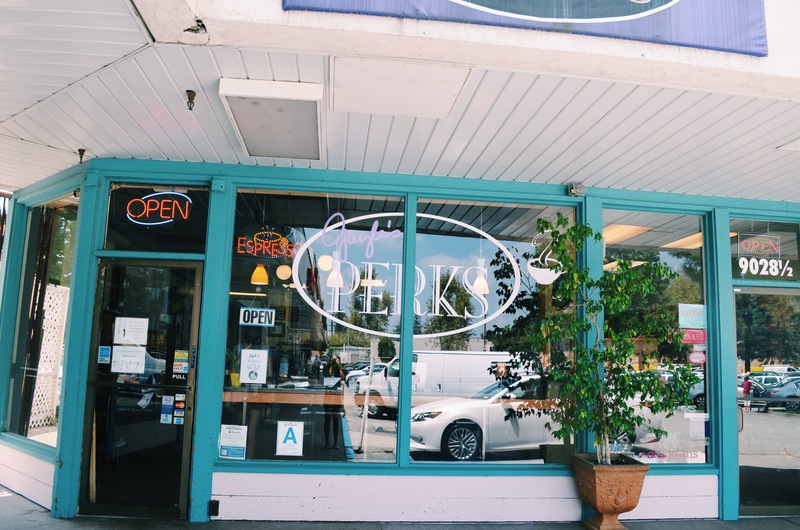 My next story takes place in my favorite coffee shop, Gayle’s Perks. They have iced coffee that will literally change your life, and I am going through withdraws from it now that I am gone. Anyway, one day I was sitting in Gayle’s Perks with my best friend, and a man walked in to use the building’s restroom. He approached me and made a comment about how he had lived in the area for a long time, but he had never heard of this little coffee shop. I (naturally) started to rave about the shop’s iced coffee and some of the staff, whom I had gotten to know. I made a comment about how I was from the east coast, and the man asked me what I was doing in LA. I proceeded to tell him that I was interning for an organization and basically on a two month mission trip in the area. As I was talking, the man’s jaw dropped. He asked if I was a Christian, and when I said yes, he asked if he could sit and talk with me and my friend. Well, the man sat down, and we ended up having a two hour conversation. This man was a Christian and felt like he had a calling on his life but, after talking with us for a while, confessed he had not been living for the Lord recently. He explained how he felt like he had been running from God, but he felt the Lord pursuing him. This man was so shocked that he ran into two Christians, in a coffee shop, because, over the past few weeks, God had been putting person after person in his path, who were telling him to run back to God. A few other members of my team joined the conversation later, and we got to be apart of what God is doing in this guy’s life. We prayed with him, and by the end of the conversation, the man said he felt like his life was heading in a completely different direction. God, in His infinite wisdom, put us in that man’s path, at the right place, at the right time, and gave us the opportunity to point him back to his Savior. Here’s another coffee shop story for you: I was in a Starbucks one day, with the intention of talking with some people. Unfortunately, almost everyone in this Starbucks was working and was not interested in any conversation. So, I sat for a long time at a big table, just waiting for the right people to sit down. Eventually, one young guy and one older man walked in and sat down in front of me. They started asking me about how the new Starbucks’ phone charging stations worked (which these chargers are the coolest things ever and should be in every Starbucks). This sparked a conversation, and I got to hear a little about these guys, before one of the Starbucks managers walked up to us. Now, let me pause and say that these guys were not the cleanest people. The older man was homeless and the younger man was clearly impoverished, but getting by through crashing at friends’ houses. The store manager said to the men that it had been five minutes and, if they were not going to buy anything, they were going to have to leave. This comment did not settle well with me, since I had been there for hours and not purchased anything, and no one had told me that I had to leave. However, the two men were very respectful and started to leave, when I stopped them, and said that I would be happy to buy them something, so that they could stay longer. At first the guys were opposed to such an offer, but after a few minutes of my insisting, they agreed. I bought them both sandwiches, and we continued to talk. I got to tell them about why I was in LA and share a little about my faith. They said they were open to Christianity and, after our conversation, would like to go to church sometime. Both of them acted like they had never met a Christian like me before. Though I never got to see these men again, a seed was planted, and they got to experience God’s kindness, through a small lunch in a Starbucks. I could tell y’all so many more stories similar to the ones I have just shared. God moved in so many ways, during my time in LA. I saw God’s glory at bus stops, coffee shops, volleyball courts, restaurants, and so many other places that many of us visit on a regular basis. I was amazed at how much God can do with seemingly ordinary situations, when His children are living their lives on mission for Him. God turned so many mundane moments into extraordinary ones, by using me and the wonderful people on my team as His tools to plant seeds in people’s lives. If there is one thing I learned in LA, it is that when things are done in the name of Jesus, then there is nothing wasted, and there is no moment too small or too mundane that He cannot do something great. Just because something is small does not mean it is insignificant. If anyone has any questions, comments, blog post topic requests, or prayer request then leave a comment below or email me at christy@tonynolan.org. I guess it is only fair that I start this post with an apology. It has been almost a year since I have last posted. I have a million excuses but I am sure no one wants me to waste their time by listing them all out. I have been so busy and so much has happened this past year that I wouldn’t even know where to start. However, I think the time has come to dust of the old blog and start posting again. So, hopefully, there is gonna be a lot more action going on at christynolan.com than there has been over the past year. Currently, I am writing this post from a cute little coffee shop in Los Angeles, California. If you would have told me a few months ago that I was gonna be here, I would not have believed you. However, it was clearly apart of God’s plan for me to come live in the city of LA for the summer. So far we have been here about a week and a half. The team that I am here serving with has been great. We all have very different personalities, backgrounds, and passions but we are all have one thing in common: the blood of Jesus. I have been praying daily that God would unite us in a supernatural way as we all strive together to be ambassadors for Him. While serving the people of LA, it is going to be important that we also serve one another. So I am grateful for a team with so much potential within it. Since we have only been here a short time, we have been trying to get a good feel for our surroundings so far. One of most interesting things to me has been getting a better understanding of the different religions of Los Angeles. This city is so diverse. I have traveled so much in my life, but LA has got to be one of the most culturally diverse cities I have seen. Thus, there are many different religions in the area. We have visited everything from mosques to Sikh temples to simply “spiritual centers.” I think I am starting to understand how Paul felt when he went to Athens and was “greatly distressed to see that the city was full of idols” (Acts 17:16). Los Angeles may not have golden statues (unless, of course, you count the little golden man on the Oscar awards, which, in that case, every tourist shop is filled with little idols) but there are hundreds of different things being worshiped more than the One who actually deserves to be worshiped. As I get started in Los Angeles, I pray that I have the same compassion for hurting people as Jesus did. I see the people of this city and am reminded of how Jesus had compassion on the crowds of people that where following Him, “because they were harassed and helpless, like sheep without a shepherd” (Matthew 9:36). This world is full of confusion and helplessness. There are so many lost sheep that do not even see themselves as lost; I know because I was a lost sheep until my loving Shepard found me. I know the hopelessness of being lost and the overwhelming joy of being found. 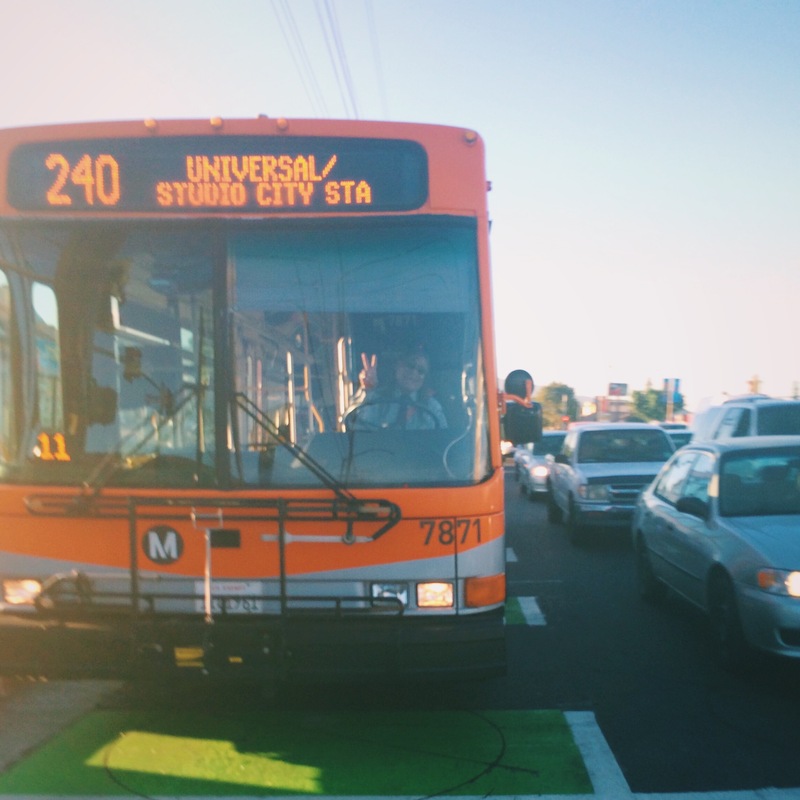 I want the people of Los Angeles to experience the same kind of transformation. I want to see lost sheep find their Shepard. So, I pray that, as I serve here, that God is glorified, lives are changed, and lost people find a home in the loving arms of the Father. I ask that prayer warriors would join me in lifting up my team and the city of Los Angeles as we serve here for the next few weeks. So, let the adventures begin. As always, if you have any questions, comments, or prayer requests please feel free to email me at christy@tonynolan.org. I would love to be able to go back in time. Obviously, even with our modern technology, we haven’t been able to do anything like time travel. However, if we could go back in time, I would love to go back to when Jesus was on the earth. There are a lot of different stories in the Bible that I would love to have been there to actually see and experience. One of those moments I wish I could have been a part of is the Last Supper, and you’ll see why. Wait, what? The Son of the living God is washing whose feet? Jesus, the One who rules over all creation, is washing the feet of fisherman, tax collectors, and other sinners. “Jesus knew that the Father had put all things under His power, and that He had come from God and was returning to God.” (John 13:3) Jesus knew who He was. He was worthy to be treated like the heavenly King that He is. He knew if anyone deserves to sit back, relax, and have their feet washed, it was Him. However, in this moment, Jesus takes on the posture of a servant, not an arrogant King. I would have loved to be a disciple in that moment. Could you imagine? Jesus, in the flesh, washing your feet. I would love to have seen the other disciples’ faces as Jesus started to take off their sandals and scrub the dirt off of their feet. I probably would have responded like Peter, who said to Jesus, “No, You shall never wash my feet.” (John 13:8) He felt unworthy. Can you blame him? He was a sinner, who deserved punishment. God, however, did not come to crush those who are unworthy, He came to cleanse them. Do you get it now? Jesus was trying to teach them. He was leading by example. Do you see it? If Jesus, who is clothed in power and glory, can put on a towel and serve sinners, then, why can’t you do the same? I’m not just talking about washing feet. I am talking about humbling yourself and serving others around you. Do you understand that Jesus sat down and washed the feet of Judas, who would betray Him for 30 pieces of silver. Jesus washed the feet of Peter, who would later deny Him 3 times. Jesus did not act too great or too mighty to serve these people, even the ones He knew would sin against Him later. If we are not careful, we can find ourselves acting like we are too good to do any of this. When I look around, I see more people pretending to be kings than practicing being servants. Are we greater than Jesus? He said, “Very truly I tell you, no servant is greater than his master, nor is a messenger greater than the one who sent him.” (John 13:16) If Jesus, in all His magnificence, can become like a servant, then we, who are not any greater than Jesus, can do the same. Many of us need to lay down our crowns and take up our towels. Jesus was the only One who truly had every right to wear a crown, but yet He still wore a towel. Sometimes, it’s hard to humble yourself, and I understand that. This is not just me talking to you about your pride problem. I am talking to myself more than I am talking to anyone else. I don’t know your ego, but I am very familiar with my own. I have felt the clash between my pride and what God asks me to do so many times, and I know it’s hard. In the end, however, I believe it is worth it. If I could go back in time and see Jesus washing those disciples’ feet, I imagine I would see Him doing it with a smile. He loved them, so washing their feet was not a problem. I am sure Jesus wasn’t a huge fan of dirty feet, but He loved His disciples. As we grow to love God more, we will grow to love serving Him more. I have found that I will do things that gross me out, freak me out, stress me out, all because I love God, and I am happy to be His servant. Just a few days ago, I went and helped a church clean out their basement, so they could use it for more Sunday school rooms. I was bleeding (long story), sweaty, and tired. Though this wasn’t a big deal at all, I can assure you, if I didn’t have Christ in my life, I would have been there doing it. There are things that I honestly do not like doing, but if I am doing it for The Lord, I find myself being willing, and even happy, to do those things. I ended up having a great time going through junk in a church basement, just as I think Jesus had a good time washing the disciples dirty feet. If I can suppress my pride and focus on Jesus, I start to enjoy any assignment God gives me, no matter what it is. In other words, as I let go of my crowns, my towel becomes more comfortable. And this has nothing to do with me and my ability to love God, it has everything to do with Jesus and His ability to love a sinner like me. For I love Him because He first loved me. (1 John 4:19) I serve Him because He first served me. God made the first move here. I am simply responding to the love He has already shown me. So, I urge you, friends, to live like a servant. Look around for hurting people that you can help. Follow Jesus’ example. I am talking to myself, as well. I have so much to learn about serving, but luckily, I have the greatest Teacher. So I pray that me and you both will take up our towels and serve God with a new passion. If you have any questions, comments, or prayer request feel free to email me at christy@tonynolan.org or just leave a comment below. Or you can always stay in touch with me and the blog via twitter or Instagram (@christyanolan). Thanks for reading and God bless. So, I turned 18 yesterday. I guess I’m an adult now. Weird. Anyway, as I was reflecting on my past and praying about my future this morning, I was asking God to just give me a fresh word from Him. It’s a new year, a big year. I have a lot of changes coming up, and I just wanted to hear from God this morning. I have been reading Acts for a little while now, and today, I was on Act 13, which is the story of when Paul sets out on his first missionary journey with Barnabas. What stuck out to me was verse 4, where it says that Paul and Barnabas were “sent on their way by the Holy Spirit.” The message translation says they were “sent off on their new assignment by the Holy Spirit.”. I didn’t think much of this verse at first glance. I mean, I’m not going on a huge missionary journey like Paul was, so I assumed this couldn’t apply to me. However, once I started thinking about this verse, I realized that God wanted this to be true about me and, really, about all believers. As Christians, we all have an assignment. We are to go where the Spirit sends us. We may not be going on a big journey like Paul, not everyone is called to do that, but we each have gifts and assignments that we are to fulfill through the power of the Holy Spirit. Whether you are packing up and moving to Africa, or you are just going to work like you always do, you have a mission field. You have a God given purpose, whether you are going to school or you are starting a church. Since the Holy Spirit is leading all the workers, there are no unimportant jobs in the kingdom of God. So, as I start my 18th year, I’m setting out on my new assignment by the Holy Spirit. Like I said, I have lots of changes coming up, but I know that the Holy Spirit will give me what I need for the journey. The same goes for you. God does not send you off on a journey without giving you what you need to complete it. I heard someone say that God does not call the equipped; He equips the called. God has given us His Spirit, which is the best thing we could possibly have as we go on our journeys. “His divine power has given us everything we need for a godly life through our knowledge of Him who called us by His own glory and goodness.” (2 Peter 1:3). We have the Spirit and we have the Word of God, we are equipped to do great things. I can look back over the past 18 years, and I remember times where I know I was sent to do something by the Holy Spirit. There were times I ignored Him completely and missed opportunities. There were times I set out on an assignment of God, but thought it would be impossible to fulfill, because I didn’t have the power or the resources. However, God came through, and I was able to do what I thought would be impossible. There were times when the Spirit led to me to something that I thought was small and insignificant, but after following the Spirit, I found that what I was doing was not unimportant at all. Looking over your shoulder and seeing how God has been with you in the past, makes it easier to trust Him with the unknown of your future. I know that it is hard to go where the Spirit sends you. It’s scary, it’s new, and you don’t know what to expect. Imagine how Paul felt as he set out on a journey that he knew would be difficult and dangerous. I could imagine Him walking into a town, knowing that there would be people there that would want to kill him, but continuing to walk through the city gates, because he knew that God was going to continue to be with him no matter what happened in that city. When we step into the unknown, we have the security of knowing that God is still there to lead us, love us, and protect us. God has never stopped being in control and He never will. He was there with me in the hardest times of my past, and He will continue to be with me in whatever the future holds. As usual, you guys can email me at christy@tonynolan.org if you have any questions, comments, or prayer requests. I hope you have enjoyed reading a little bit about me and what I am learning, and I hope you will continue to keep up with the blog as I continue on my journey. I recently had the great privilege of standing on the beaches of Normandy in France. Seventy years ago, hundreds and hundreds of soldiers gave their lives on those beaches. That battle was a portal to freedom, a massive turning point in World War II. I was in awe as I walked on those beaches, looked over on the cliffs of Pointe Du Hoc, and stood in deep craters in the earth that were made by exploding bombs and grenades. This one battle, that happened fifty-three years before I was even born, was so influential that it changed the way I would be able to live all these years later. I couldn’t help but think of the individuals that walked off those boats and onto that sand. When I was in Normandy, it was windy, cold, and rainy, much like it would have been on June 6th, 1944. The soldiers were already sea sick, cold, wet, and afraid, and they were about to step into battle. The eyes of the world were looking with anticipation upon these young men. Since this took place seventy years ago, we know exactly how the story ends. The Allies win, we know that, but those young men that stepped out of the safety of their ships did not know that. They just knew they were going to do whatever it took to win, even if that meant they would have to die trying. I have such a deep admiration for the World War II generation. Most of the men that stormed the beaches of Normandy were very young. During World War II, when other countries thought about the youth of America, they thought of brave soldiers, willing to sacrifice themselves for freedom. So much has changed since the 1940’s. Unfortunately, when the average person thinks of America’s youth now, they think of social media, rebellion, irresponsibility, and selfishness. Of course, not every teenager is like that, but that is the label the majority of people would put on our country’s youth today. I know we have the capability of doing great things. Those young people that stormed the beaches of Normandy were just regular people. The only difference between that generation and ours is that the majority of that generation was willing to do what the majority of our generation is not. And I am not just talking about going to war. I have a great respect for the military, but those men did more than just sign up for war. They had convictions. They were motivated. They were willing to fight for what they believed in. As I stood in the Normandy Cemetery, a great influencer in my life, Dr. Jay Strack, said that our generation is going to have its own battles to fight. It might not be on a beach with guns and grenades, but there will come a time when we have to fight for what we believe in, too. Satan is after us. The Christian life is a battleground, and there is not a time for us to be passive. The eyes of the world are upon us now. I have written about this more than once, because it is so important for us to grasp. There cannot be a battle without soldiers that are engaged in what they are doing. If the soldiers are disengaged in the fight, then they will lose. However friends, don’t be discouraged. As another great influencer in my life, Dr. Brent Crowe says, “One of the greatest things about the kingdom of God is that you don’t have to do everything, you just have to do your thing”. You do not have to go win the whole war on your own. That is not your job. You just fight a good fight. You do your thing with excellence for the glory of The Lord. Don’t get overwhelmed by what everyone else should be doing. You just do what you are called to do. I promise you, if we were faithful to do what we do with excellence, we would change the way people view our generation. Battles are won by soldiers who just do their job well. Lucky for us, we get to fight all these battles knowing that we have already won the war. “We don’t fight for victory, we fight from victory” (Steven Furtick). Those men who fought at Normandy did not know whether or not they were going to win the war. As Christians, even though we might lose a few battles, we will still win in the end, because of Jesus’ finished work on the cross. The eyes of the world are upon us, friends. What are they going to see? We can change their perspective of us simply by doing what we do with excellence. What are we going to do about the beaches that we need to storm and the battles we need to fight in our lives? I have full confidence that, with God on our side, we can be unstoppable. Do your best in all you do. Be brave. Remember those young men, that were just like you, that believed in something enough they were willing to die for it. As always, feel free to email me at christy@tonynolan.com if you have any questions, comments, or prayer requests. Thanks for reading and God bless. 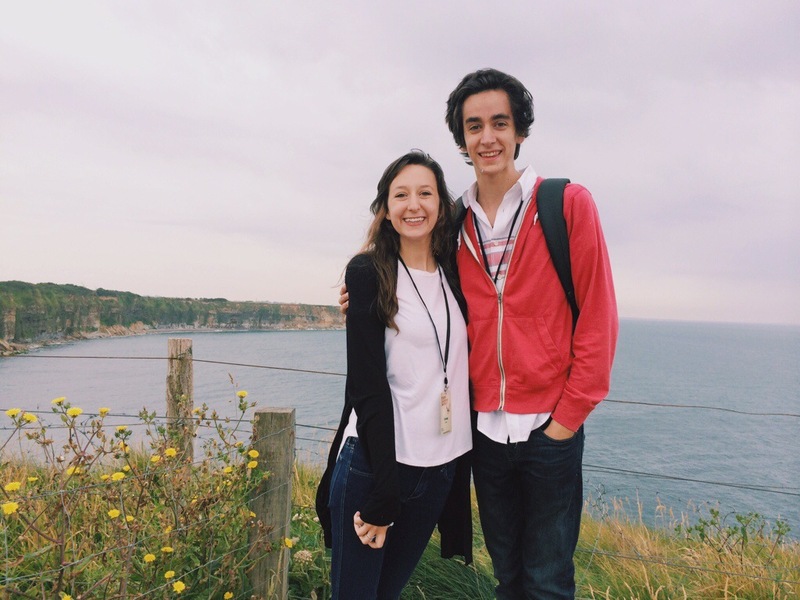 This month me and my brother, Wil, had the amazing opportunity to go to SLU 301 in Europe. I can honestly say that this program has changed my life. Me and Wil would not be the people we are today if it was not for Student Leadership University. I cannot even put into words how grateful I am to Dr. Jay Strack, Dr. Brent Crowe, and the whole SLU team. The principles I have learned at SLU have changed the way I think, dream, and lead. Above is a short video of our trip. Click on the video to watch it in best quality on vimeo. If you would like to learn more about Student Leadership University go to http://www.slulead.com/. Hello readers! I am typing this post from my brand new iPad mini! I am freaking out because the Journey Church in Fernandina Beach, Florida, sent me this iPad as a graduation gift. I’m so blessed by the fact that there is a body of believers, that live 6 hours away from me, but still care and believe in me enough to send me such an awesome gift. I thought I would share that with y’all, because God used the Journey Church to give me a gift that would encourage me, and now I am using that gift to encourage you guys! It’s crazy how God works. Okay, now let’s get on to the actual post. I am not usually one to share much about my personal life on my blog. I figure if you wanted to know what I was doing you would follow me on Instagram. However, I am just in a very interesting season of life right now, and God has been teaching me so much that I want to share some of it with you. I think God is big enough to use my experiences to teach you something, even if you are not experiencing the same things as I am. Alright, so I just graduated high school, and it’s completely different than I thought it would be. I am not gonna lie, I’m not as brave as I thought. I was talking big when I was a freshman and sophomore. I used to think I would show no fear and I would just hop on a plane to a third world country and be fine. Now, it makes me sick to my stomach to think of leaving everything and everyone I know (especially my family). Everyone told me that it was gonna be hard for me to leave, but I never really believed them, until now. I am still moving away though. I’m going to school to get a psychology degree and then, after that, I think I am going to be a missionary. Since I was young, I have felt God calling me into ministry. I believe I have a calling, though God has not given me all the details of it. You have a calling, too. God says that you were “created in Christ Jesus to do good works, that He prepared in advance for you to do.” (Ephesians 2:10). You have a job to do. God has a specific plan and calling just for you, and His plan for you does not change, even if you cannot see or understand it right now. This brings me to my first point. There are challenges that come with your calling. Take me, for example. God has clearly opened up the door for me to go to school (which is a crazy story in and of itself), and because He has opened the door in a way that only He could, I know I am suppose to go to school for now. It is going to prepare me for whatever it is God has for me. This is a steeping stone to my calling. In spite of this, I am still having a hard time letting go of all the things I have here at home. I feel loved and safe here. It would be easier for me to just stay home. It would be more predictable and comfortable, if I just stayed here. I am currently stuck between the comfort and the calling. I don’t think it would be crazy for me to think that there are others stuck in this spot, too. Not specifically moving out like me, but in other ways, they experience this feeling. I think there are others who have things they know they should do, but because those things are challenging, they are hesitant to do them. The sad thing is, however, that there is not a more wonderful feeling than when you know you are walking in line with your calling. I have experienced this first hand. For me, whether I am hosting a 24 hour live web show to raise money for girls in Ukraine, or I am simply handing out sandwiches to homeless people, I feel the most amazing sense of joy and peace. That is a part of my calling, and when I am doing it, I can’t even explain the satisfaction I feel. So, though there are challenges that come with your calling, the pay off in the end is more than worth it. Nonetheless, being stuck between the comfort and the calling is not a fun place to be. However, as I continue to press on towards my calling (no matter what challenges arise), will you press on towards yours, as well? Imagine a body of believes, who were not satisfied with the comfort of complacency, but everyone was pressing towards their calling with a bold determination. I pray that the Holy Spirit would pour Himself out on us, so that we may be able to do that. Imagine the look on the devil’s face when he sees people stepping out of their comfort zones and into their callings. He’d be shaking with fear, because comfort is one of his biggest weapons. C. S. Lewis says, in His book “The Screwtape Letters”, that “the safest road to Hell is the gradual one – the gentle slope, soft underfoot, without sudden turnings, without milestones, without signposts”. Satan wants you comfortable, indifferent, and complacent. Our biggest accomplishments lie just outside our comfort zones. So, I have a long road ahead of me, and I feel like it is going to get worse before it gets better, but I know that God will be with me through it all, and He will be with you through all of your challenges, too. You can stay complacent, or you can pursue your calling and step foot on the most amazing adventure you could ever ask for. I read somewhere that “a ship in a harbor is safe, but that is not what ships are for.” I cannot promise you that it will be comfortable or safe, but if you do what God asks you to do, you will truly be doing what you were made to do. Alright friends, you know the drill, if you have any questions, comments, topics, prayer request, etc. then shoot me an email at christy@tonynolan.org or just leave a comment below. Thank you for reading and stay tuned, if you want to, because I plan on writing some more over the summer. All smiles because we’ve unpacked all of our boxes! 🙌 Happy Sunday! Some could say that I overdid it on the polka dots for work today but I couldn’t help myself 🤷🏻‍♀️😂 Dress from the closet of @beckydeberry (she’s the best) & lunch box from @katespadeny! Hey, Jacksonville! 👋 We’re here.